What are Your Marketing Tools? 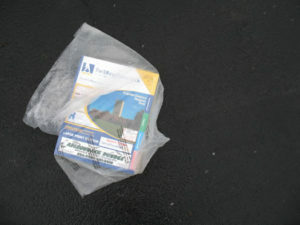 Last week as in many years in the past the Yellow Pages was waiting for me at the bottom of the driveway. I was shocked as I looked through it how many ads there were. In thinking about the medium as a viable place to advertise I looked at my own pattern of behavior and decided that it must be a very, very small segment of the population that still uses that book. After all my two kids ages 17 and 19 have never used the phone book for anything other than as a booster to reach the dining room table. 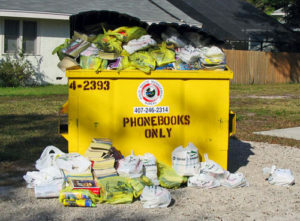 Let’s not forget there was a point in time when the Yellow Pages was one of the only places to advertise your business. I remember that we used to think that the bigger the ad the better the business. If a business had a full page ad they must be the best. Funny when I became an advertiser for the first time what an eye opener it was how expensive it was to advertise. Then you also had to decide which books to advertise in because it was regional. Needless to say the book never made it inside the house. Today the tools at our disposal give us more marketing power than ever before. We have an infinite world of search available to us at all times right in our pocket or on our desktop. The way we find things to spend our time and money on has changed forever. Now the challenge is how do you rise above the crowd of other businesses going after the same customer. It is clear that online video for a business is critical. Everyone is watching video. All day every day. The technology to be able to produce these types of online television shows just didn’t exist in the past. Well now they do. The businesses who are starting to incorporate video in their marketing toolbox are virtual lightyears ahead of their competition. It is not a question of if you are going to need to add video to your marketing plan, but WHEN. I would be happy to help you use video to give your marketing efforts a real boost while building authority in your area of expertise. Call me today at 917-512-6490 or email me. In an upcoming post I’ll be writing about some Youtube secrets that can change how visible your online video is. Stay tuned.